By its very nature, illness is a destabilizing, isolating experience. Even without a diagnosis, feeling sick interrupts the ordinary flow of events, including sleep, meals, traveling and the work routine. My father struggled with severe depression and other anxiety disorders for much of his adult life. At times, they were absolutely paralyzing for him, rendering him incapable of performing the simplest of tasks. 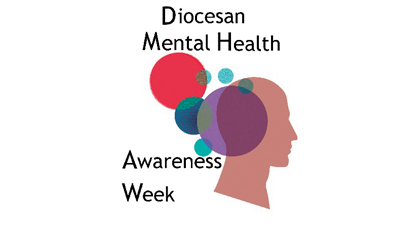 Every month, Sue Ungerer sends out reminders about upcoming meetings of the mental health support group at St. Pius X parish in Loudonville. "I say, 'If you're having a hard time, come,'" she told The Evangelist. "Sometimes, they don't come because they're having a hard time." Jesus left us with a wonderful example of the importance of taking care of ourselves.